Although Schubert’s dream of success as a composer for the stage largely eluded him, some of his theatrical music was performed during his lifetime. 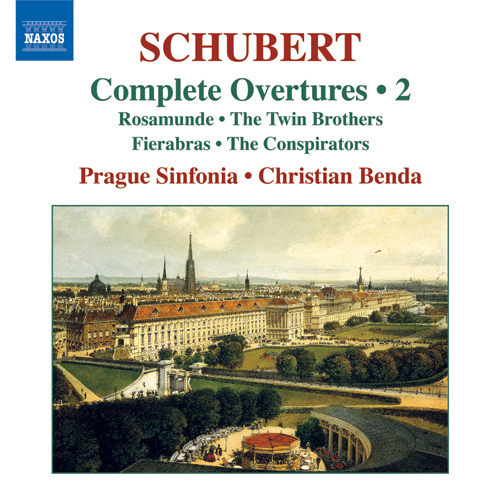 His overtures for Georg von Hofmann’s Die Zwillingsbrüder and for Die Zauberharfe—later transferred to Rosamunde, D. 644—sadly won little praise, though the Overture in the Italian Style, D590 was appreciated for its ‘youthful fire’, and the Overture in E minor, D. 648 was heard in 1821. 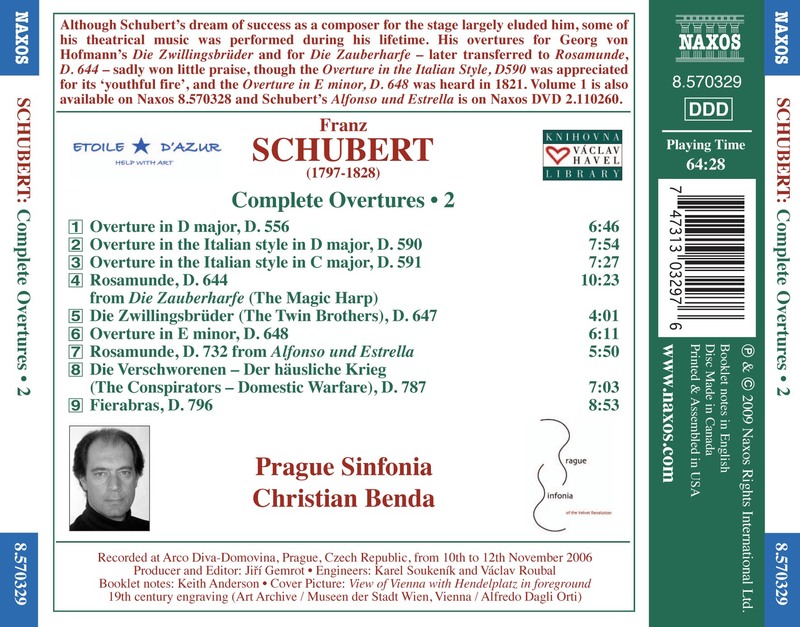 Volume 1 is also available on Naxos 8.570328 and Schubert’s Alfonso und Estrella is on Naxos DVD 2.110260. Alfonso und Estrella, D. 732: Overture, "Rosamunde"